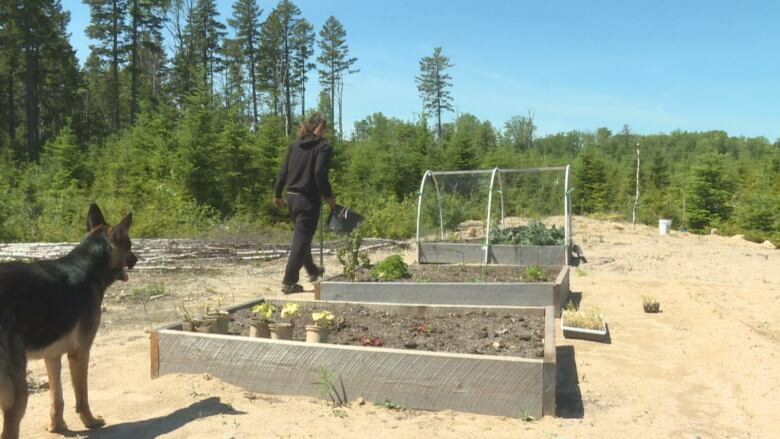 One year after members of New Brunswick First Nations moved into the proposed site of the Sisson Mine, there's just one man living on the site full-time — and he says isolation is both the best and most challenging part of his existence. "Before the dog, it was being alone completely," said Nick Polchies, 32. "She's a new addition, we only got her about three or four weeks ago. So, she's company." 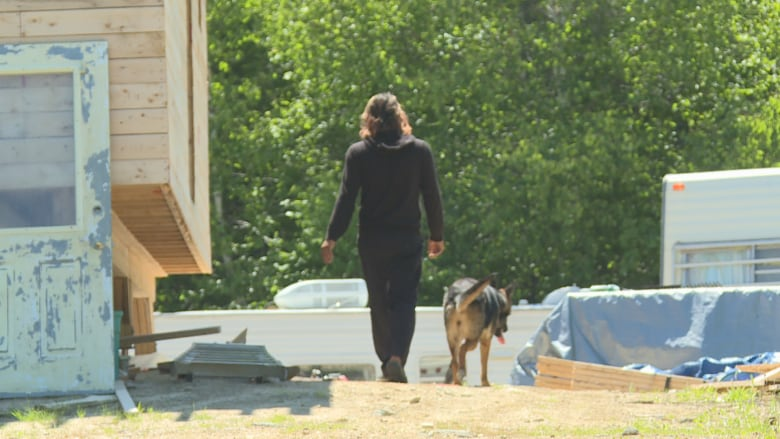 Three members of the Wulustukyik Nation Grandmothers and Mothers group spent the winter in the camp, but Polchies and his one-year-old German shepherd Arizona are now the only ones living on the site full-time. During his time there he hasn't seen any project developers, and believes the project is at a standstill. Polchies is building his life there, despite being alone most of the time. "On the weekend is usually when there is somebody else out here," said Polchies in an interview. "Either with me or I go and take a break to take a shower or do laundry. You know, the stuff I can't do out here just yet." Nick Polchies has been involved at the camp near Napadogan for a year. 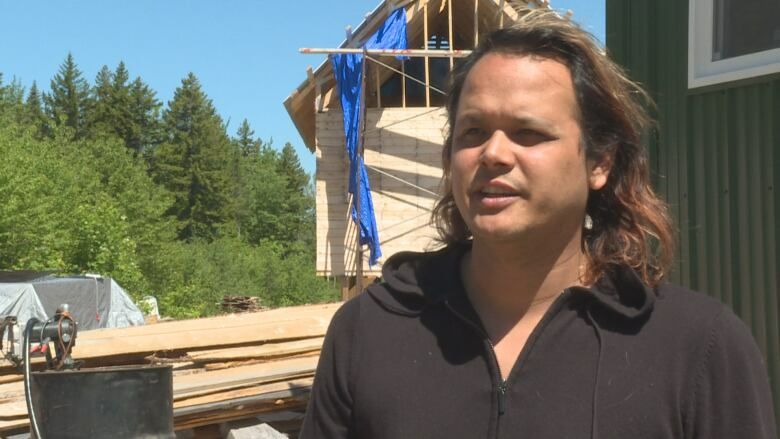 (Shane Fowler/CBC)The former woodsman says the camp on the land has matured in the last year. Last July the camp was made up mostly of tents and a camper. The living arrangements were makeshift and temporary. "Right now it's a bit more stable," said Polchies. "Less tents. We used to have more trailers around that really weren't that good. They were pop-ups … now we have a home that's livable. But it's not finished yet." 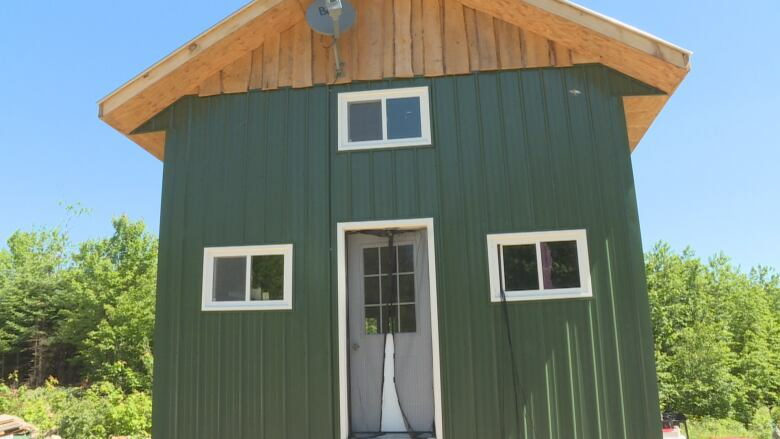 There's now a small two-storey cabin powered by a series of eight solar panels used to charge Polchies' cell phone and tablet computer. A second cabin stands half completed next door. Everything is built where the tailings pond would be dug for the proposed $579 million tungsten mine. 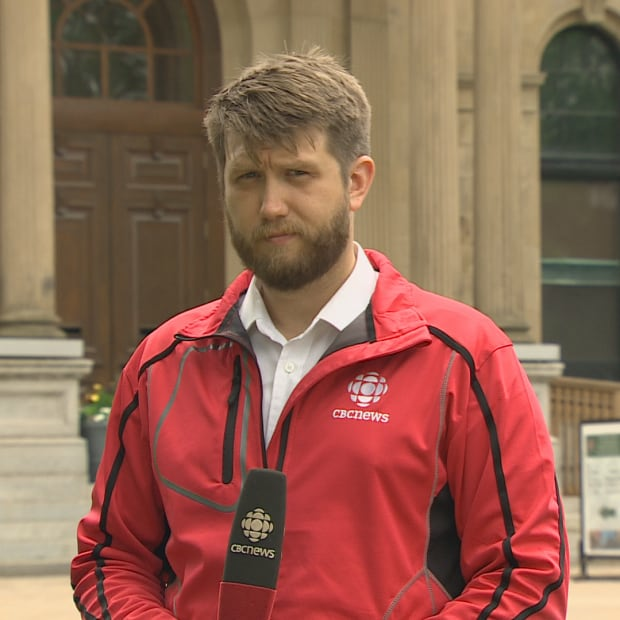 CBC News contacted the developer of the mine, Northcliff Resources, for an update on the status of the project but did not immediately receive a reply. Polchies has been involved at the camp since day one, but wasn't able to stay for the winter. "There wasn't the space," he said. "The ladies wanted to spend the winter out here and I just complied." A two-story cabin was built at the camp to house those who stayed through the winter months. (Shane Fowler/CBC)For the first few months those living deep in the Napadogan forest lived in a pair of donated RV campers. The first cabin was built in February. Its wood stove and solid walls allowed for more than just getting by at the site. Now Polchies says it's his turn to further develop the camp. The trip to the camp is about a 20-minute drive on a logging road. Once the roadway turns to pavement the closest community, Juniper, is another 20 minutes on top of that. In the run of a typical day, Polchies battles frost and the rabbits that threaten his garden. He also knows a bear lives nearby. Although the two have never crossed paths, he says each knows the other is there. "He leaves a pretty big mark, and right in the middle of the road," said Polchies. "So I think it's a pretty big bear judging by that." While things have been quiet this spring, Polchies says that if that changes and construction does start, those who oppose it will know where to come.